The sample size may be small, but four tournaments into the 2018 LPGA Tour season, South Korean rookie Ko Jin-young finds herself as the leader in major statistical categories. Ko took her talent to the biggest women's golf tour in the world this year, after winning the LPGA KEB HanaBank Championship on home soil last October as a nonmember. 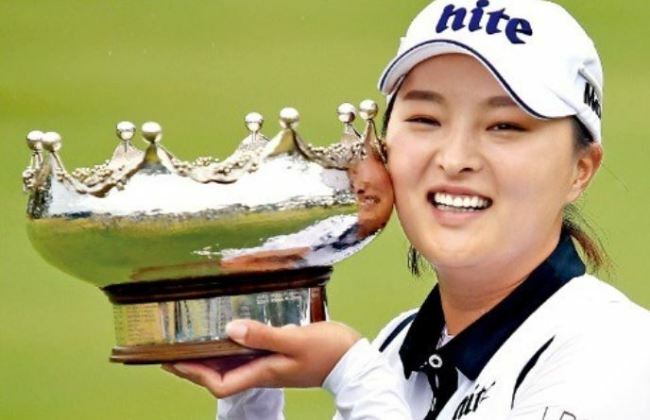 Then in February, Ko won the ISPS Handa Women's Australian Open, her first event as an official LPGA member, and became the first LPGA player in 67 years to win in her official debut. It was the second LPGA event on the 2018 calendar. Ko went on to play the next two tournaments, tying for seventh at Honda LPGA Thailand and tying for sixth at HSBC Women's World Championship in Singapore last weekend. Thanks to three top-10s, including a victory, in three starts, Ko is leading the tour in money with $282,641, just ahead of last week's champion, Michelle Wie. Ko is off to a strong start in the points race for the Rookie of the Year honors. She has 271 points, and Hannah Green of Australia is in second place at 123 points. Rookies receive points based on top-10 finishes: A win is worth 150 points, and a second-place is good for 80 points, and so forth, and points are doubled for the five LPGA major championships. The last three winners of the top rookie honors have all been South Koreans -- Kim Sei-young in 2015, Chun In-gee in 2016 and Park Sung-hyun last year. Ko is also leading the tour in the Player of the Year points race with 39 points, five better than Brittany Lincicome. For the top player award, a win is worth 30 points, and the runner-up gets 12 points, and so forth. Points are also doubled at the five majors. Last year, two South Koreans, Ryu So-yeon and Park Sung-hyun, shared the Player of the Year award, the first time there were co-winners since the award's inception in 1966. Ko is also driving it straighter than anyone and hitting the greens at a better rate than anyone so far in 2018. And accuracy had always been the name of Ko's game on the Korea LPGA tour, where she collected nine victories across four seasons. The South Korean is leading the tour with a 95.8 percent driving accuracy rate, though the figure is virtually unsustainable over the course of the 33-tournament season. Last year, Dana Finkelstein led the tour with 86.7 percent. Ko is hitting 85.6 percent of the greens in regulation, ahead of Park's 83.3 percent. That is another number that Ko is unlikely to sustain. The closest anyone came to finishing a season with an over 80 percent in greens in regulation stat was in 2002, when Annika Sorenstam reached 79.7 percent.